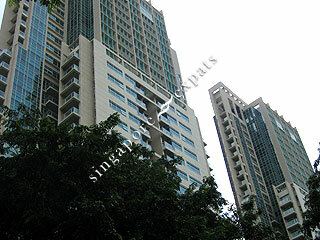 Newton Gems is a freedhold condominium located along Newton Road, a distinct landmark in the heart of the city. Even from afar, you could see these majestic 30-storey twin towers. Newton Gems consists of a total of 190 apartments. All units in Newton Gems are only available for rent, not for sale. Newton Gems is strategically located with many amenities around the vicinity. It takes about 5 minutes to walk to the Novena MRT station, Newton Circus Food Centre, United Square and Novena Square Shopping Malls. Newton Gems is also a stone's throw from the popular Orchard Road shopping and entertainment belt. Newton Gems is accessible via the nearby Pan Island Expressway (PIE) and the Central Expressway (CTE). Other public transport is readily available along Newton Road and Thomson Road.